Your First Dance as a married couple is a very Special Moment. One that will endure the past of time in your memory, family and friends. 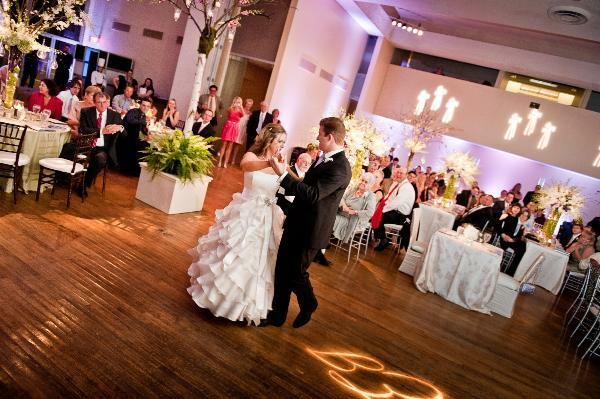 Wedding Dance lessons for your First Dance is one of the best wedding investments you can make. Let us help you in such as special occasion. Wheter you dance frequently or have never danced before, we can empower you and your fiance with the confidence, experience and knowledge you need to enjoy the romance of your first dance as a married couple. Avoid the unnecessary awkwardness most couple feel doing the “bear hug away” for three long minutes. Let us show you how much fun and how easy dancing together can be! So if you want to know more about how our coaching wedding dance works, read on! What dancing styles do you coach Wedding Couples on? We coach in Argentinian tango, Modern jive (aka Ceroc) and Nightclub Two Step or (depending of the song) a blend of them. The Wedding Song will determine the more suitable kind of dancing style and choreography for the occassion. We will teach you according to your level of dancing experience and expertise. Basically you will learn a “routine” of basic moves that you can dance in any order or we can choreograph a complete sequence of moves to tailor your favourite wedding song. Can you assist us with our wedding song? Yes we can. However we strongly recommended couples to choose their own song. In any case, specially regarding to the tango genre, we can assist you to choose from a wide repertoire of songs from our own library. How the overall process works? The process is very simple indeed. After we have the song for your First Dance, we work together with you to find the dancing style that suit that song best. Once you are comfortable with the idea, we set an easy choreographed routine of move for that song. Then we practice the routine with you and your partner over and over until you are able to dance it with ease. We always advise to start the closest possible to your Wedding day. Therefore and depending of the package you take, you should work backwards from your Wedding day the amount of weeks you have committed to learn your routine (e.g. 8 or 6 weeks). The main reason for that is that the closest you start learning your routine to your Wedding day the fresher the routine (and the steps) will be in your mind. Nightclub Two Step (NC2S) was initially developed in the mid-1960s in the USA. It is beautiful style to dance to most slow romantic songs and ballads. This is the dancing style that fits most the couples chosen Wedding songs. Click the link below to watch the video. Perhaps there is not any other more romantic and intimate dance you may think of for your First Dance that Tango. We can choreograph and teach you a mini tango routine which can bring all the passion of this traditional style into your Wedding Day. Follow the links below to hear some songs suitable for bridal tango.